Microwave Link - TBL Telecom Inc.TBL Telecom Inc. Eliminating or reducing recurring cost with broadband wireless is the primary goal set by TBL Telecom for its customers. With a variety of solutions ranging from point-to-point and point-to-multipoint wireless links, each link is carefully designed to meet TBL Telecom’s high standards for SLO ( service Level objectives) meeting the minimum criteria for availability of five (5) nines, 99.999% representing less than (5) min downtime in a year.. Cost associated with specialized circuits such as MPLS, T1 and fiber can now be reduced or eliminated while providing a rapid ROI (Return On Investment). Thus representing a great alternative to traditional fiber and cooper layout or network diversity solution. All wireless solutions offert by TBL Telecom are full duplex to address the needs of telephony and video. Wireless solutions can vary in speed from 5 Mbps to 3 Gbps (with bandwidth accelerator) while keeping very low latency, essential to all voices applications. Solutions are point to point or multi-point to address multiple configuration scenario. Mobile solution for vehicule are also available allowing connectivity with speed up to 120KM. Radio frequency can be licensed (Industry Canada) for more privacy or un-licensed. Feasability study is required for any wireless solution. Typical ROI vary betwen 12 and 18 months. Radio frequency can be licensed (Industry Canada) for more privacy or be public (un-licensed). Feasability study is required for any wireless solution. GPS coordinate are taken at each location and analyzed by our wireless specialist using planning tools software, a written report is then issued with the results . 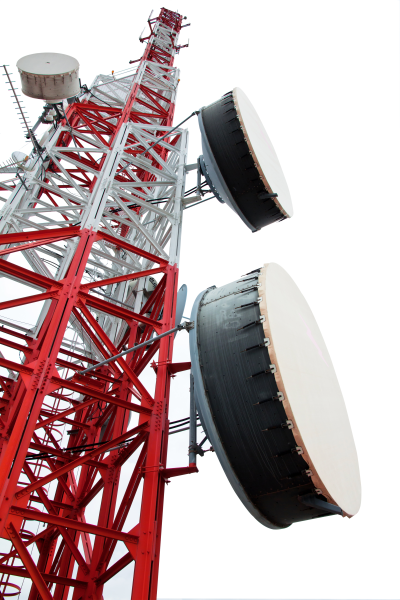 TBL Telecom can design and install licensed wireless link on any type of communication tower. Installation are not limited to microwave towers, wireless circuit can be installed on building roof top or even on a bridge. 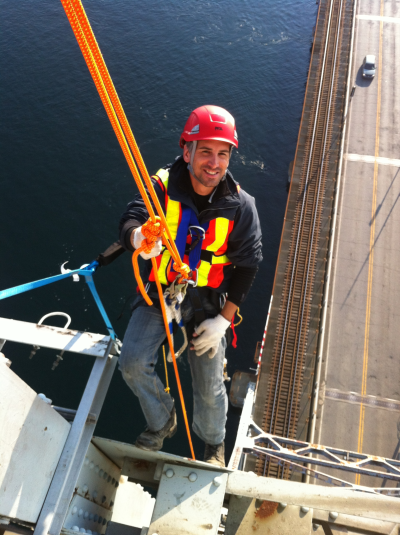 Each installation is executed by TBL Telecom's professional riggers which are all certified with the Tower & Rescue program. 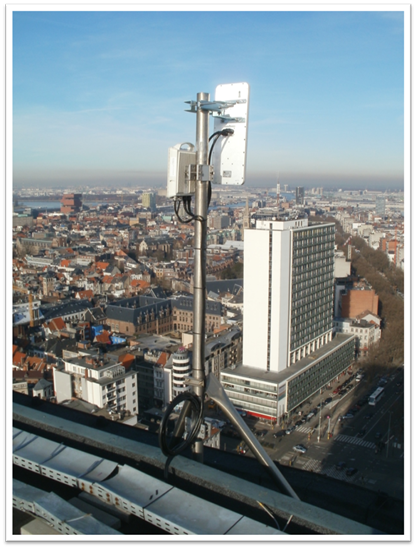 RADWIN also offers a complete portfolio of sub-6 GHz Point-to-Point and Point-to-MultiPoint solutions. The solutions operate in both license-exempt and licensed frequencies and offer different capacities and operational ranges. The solutions are geared to meet the needs of cellular carriers, service providers, private networks as well as public safety agencies. DragonWave® is a leading provider of high-capacity packet microwave solutions that drive next-generation IP networks. DragonWave’s carrier-grade point-to-point packet microwave systems transmit broadband voice, video and data, enabling service providers, government agencies, enterprises and other organizations to meet their increasing bandwidth requirements rapidly and affordably. 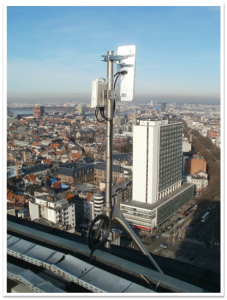 The principal application of DragonWave’s products is mobile network backhaul. Additional solutions include leased line replacement, last mile fiber extension and enterprise networks. DragonWave’s award winning products are known in the industry for their leading capacity, reliability, and spectral efficiency. Voice, video and data needs are growing at an astounding rate. This growth is putting pressure on today’s existing backhaul networks. DragonWave enables service providers to meet that demand by offering high speed, high capacity solutions which allow the service provider to rapidly expand and augment their network to support full-feature applications.